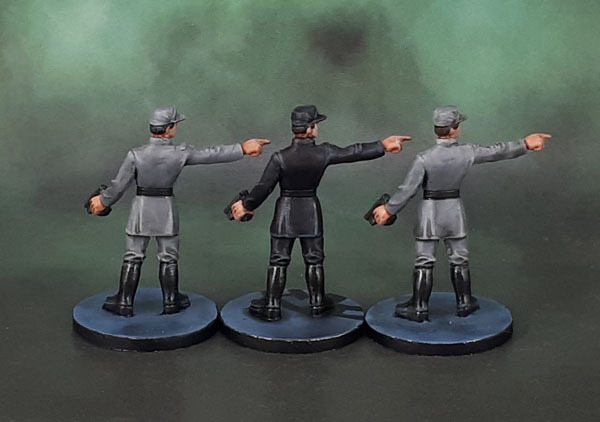 Star Wars Imperial Assault: Imperial Officers (Unit-Ed October ’18) | Azazel's Bitz Box. 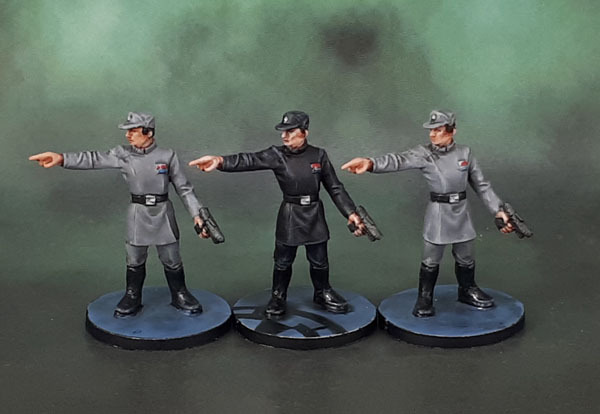 This entry was posted in Board Games, Star Wars and tagged Imperial Assault, Imperial Officers, Star Wars, Unit-Ed October '18. Bookmark the permalink. ← Mantic Terrain Crate – Roll out some Barrels. Nice work, man. Easily recognizable right away by those grey uniforms. Is there a little symbol on the front of the hats? Couldn’t quite make out what that was. They have a little silvery disc on the front of their caps. Often called a “code disc” in their descriptions. 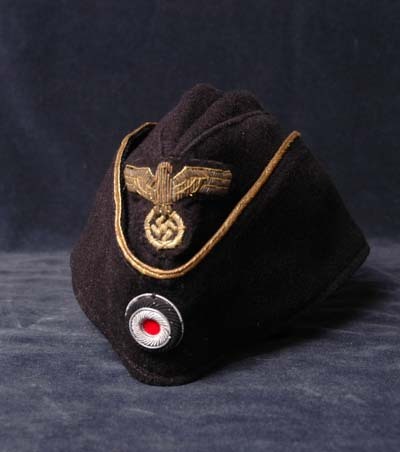 It’s an echo of the “target” discs found on German WWII caps. Nice, not sure I noticed those in the movies before. But there usually is some sort of symbols or badges on most military costumes. Since I don’t know what most mean, it doesn’t stick in my brain too much. Yeah. Little hat badges are pretty much expected on military types, so you wouldn’t consciously register them unless you were looking for/right at them. Yeah these look great. I should crack out some more imperial assault modes again. Have you tried the game AI yet? Nope, sadly we haven’t played the game in a couple of months (and still have 1 or 2 games left for the finale of the first campaign). ESO has taken up all of our get-togethers for quote awhile now. Looking great, one thing I never got into was Star Wars gaming, played the RPG years ago and have the base game if x-wing to play with my son, but never the ground forces. Thanks. Imperial Assault is a fun little boardgame to play. Typically one player has to be the “overlord/GM” but with that App that Pandora’s mentioned (that I still haven’t used) you can play it entirely co-op. Very nicely done! Uniforms do look tidy and sharp, the way you’d expect them to look! Like ’em! I used to paint eyes on my 20mm figures when I could see ’em, but now I just go with a darker patch that works fine for me! Sounds like you could be making a move to maybe painting some Bolt Action figures! Thank you. I’ve had “paint a couple of small, opposed Bolt Action forces” on my “to-do” list for some time (all year in 2018, for starters) but it just hasn’t been able to happen yet. Hopefully I can finish a few BA models this month at least…? Thank you IRO. I guess it’s a form of visual shorthand that goes WAY back, before GW even! Simple, but look deep, and not so simple. You effectively highlighted the black and the gray in a truly great way. I like the eyes rationale, it’s true, and I will be putting that into my cranium for future stuff where it will work. Yeah, the uniforms on these figure are very nicely done. Simple to paint, yet the folds look realistic and natural. Win all ’round there. The eye stuff is old as dirt, so glad to pass it on! Since I can only paint googly eyes I don’t even try now. Thank you Pete. It doesn’t hurt them, and so I can’t argue your choice. As long as the figures still look good that’s all that matters. They look a bit goofy when all three of the same sculpt are lined up like that, but individually they’re great! Excellent work on the cloth folds and patent leather boots especially. I’ve been using that approach for eyes for ages. I actually did a test once, comparing minis in my hand to people on TV, and couldn’t see the whites of the eyes of the people on TV unless they were (from that perspective) 2-3x the size of the minis. So I haven’t bothered with trying to get that level of detail since. Yeah, being boardgame sculpts it becomes even less of an issue on the tabletop, especially since there will rarely be all three, and even when more than one are there they won’t be standing next to one another as they are here. 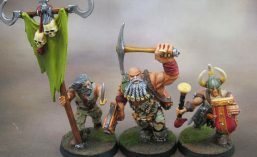 Pingback: Unit-Ed October – Personal Round-Up &October 2018 Painting Round-Up | Azazel's Bitz Box. These are great! It’s kinda fitting that the faceless middle managment of the evil Empire have indistinct faces. You can imagine them pretending to be force choked by Vader and reappearing the next day in with a fake moustache – Family Guy style.